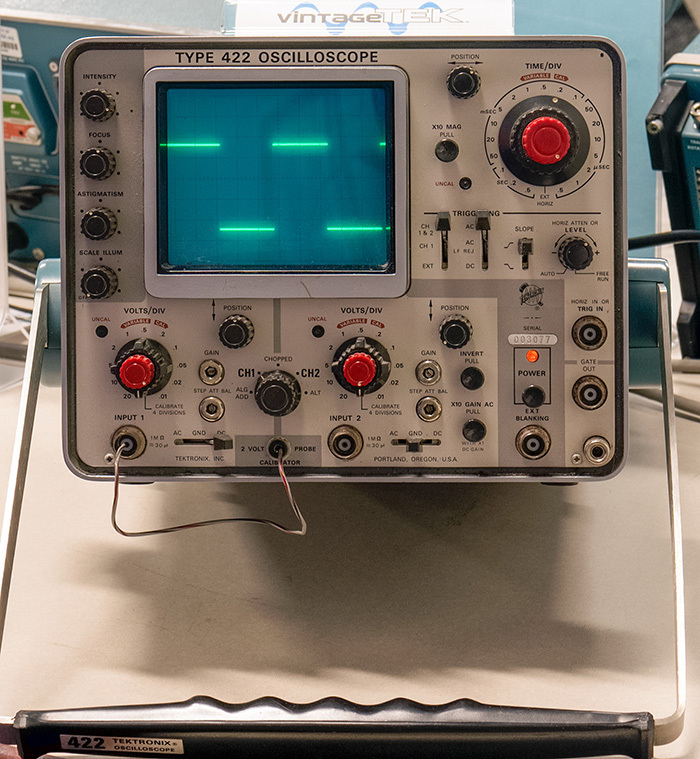 The 422 oscilloscope is a 15 MHz dual channel portable oscilloscope and first appeared in the April 1966 Tektronix catalog. The 422 could be powered from a wide variety of sources depending upon which power supply options were ordered. The AC model could be powered from 115V or 230V AC 45 to 440 Hz. The AC/DC model could also be powered from 11.5V to 35VDC. There was also a 24V battery pack available. The selling price for the AC model was $1400 in the 1966 catalog and was in production until 1975. Early versions used a nuvistor tube for the front end. 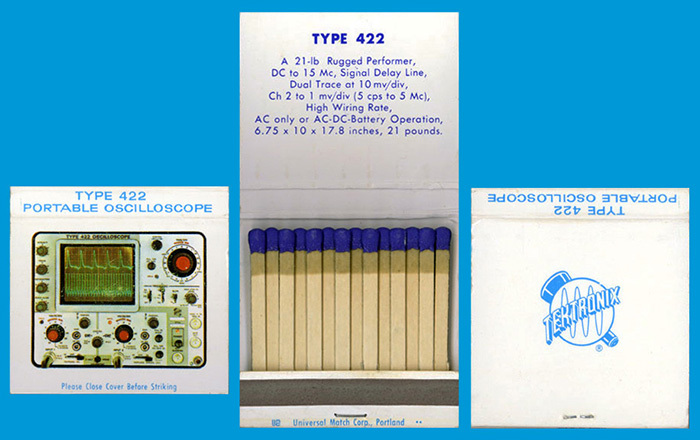 This promotional matchbook was produced for the 422. Note there is an error as it says "High Wiring Rate" instead of "High Writing Rate".